The hardcopy is available at Apress, Amazon, and Barnes and Noble. The ebook versions are now available at Apress and Amazon. I wrote this book to be the one I wish I had when I was starting life as a SysAdmin and before I found my own mentors. The original Unix and Linux Philosophy was intended for the developers of those operating systems. Although System Administrators could apply many of the tenets to their daily work, many important tenets were missing. 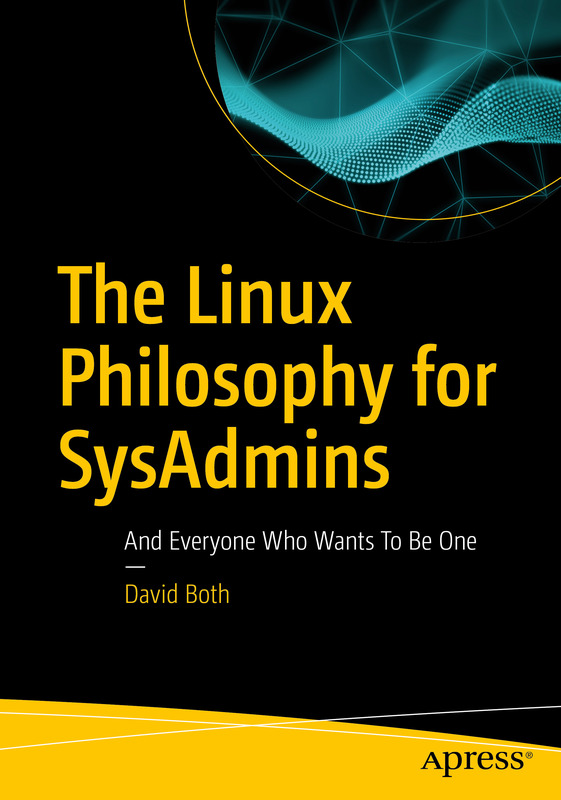 Over the years I have been working with Linux and Unix, I have formulated my own philosophy – one which applies more directly to the everyday life of the System Administrator. 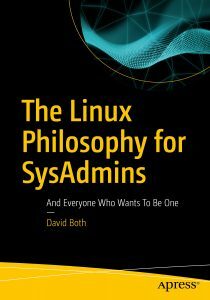 The tenets of the Linux Philosophy for SysAdmins have some basis in the original tenets of the Linux Philosophy, but however good and powerful those tenets, their origins and application can vary greatly from that of the typical SysAdmin. This book is the result of that effort – it provides a unique hands-on approach to becoming a better SysAdmin. It is my attempt to give back to the community that nurtured me as I grew and helped me to became more confident.